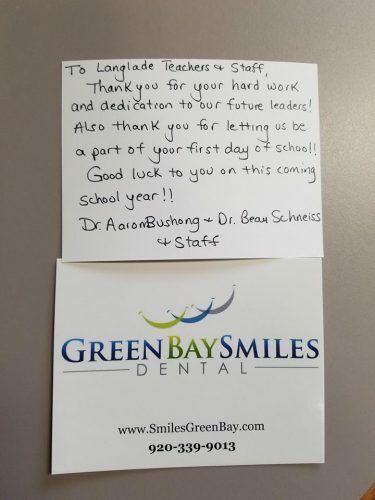 Green Bay Smiles is proud to be part of our local Green Bay, Wisconsin, community. 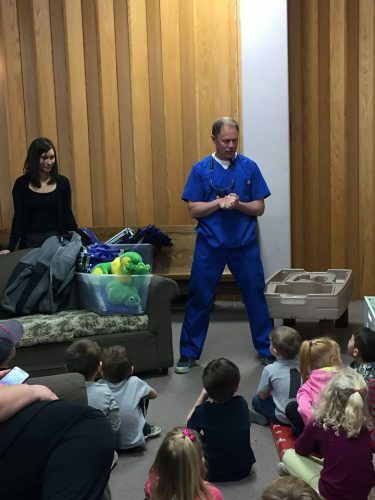 We love being involved with education programs at local schools and nonprofits, and love seeing our friends and patients at events of all kinds. Our dentists and team would love to hear from you if your organization is planning a community event. Please reach us at 920-339-9013 with any information. 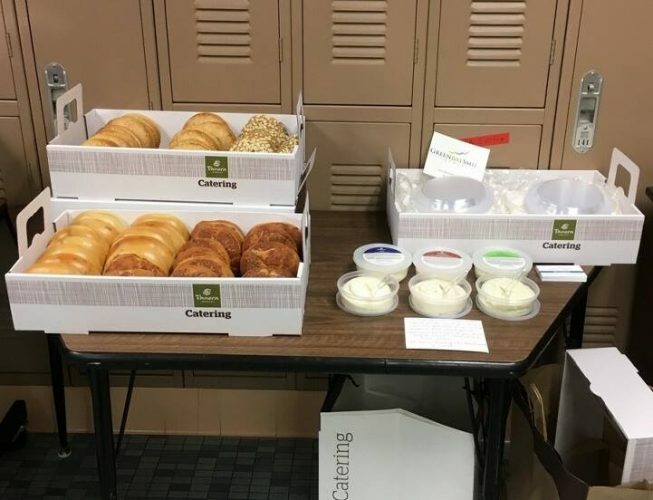 Green Bay Smiles surprised local teachers at Langlade Elementary School (located in the same neighborhood as the practice) with bagels and other treats to kick off the 2017/18 school year. 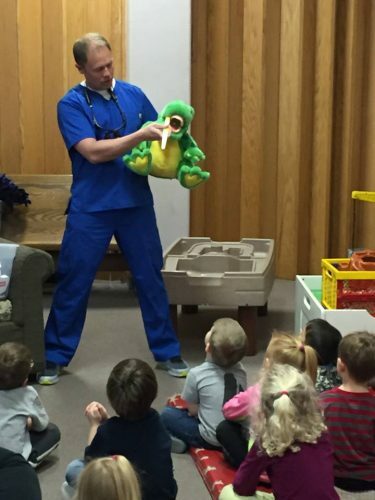 Dr. Bushong has visited a number of local schools to discuss everything from proper dental hygiene to careers in the dental field. 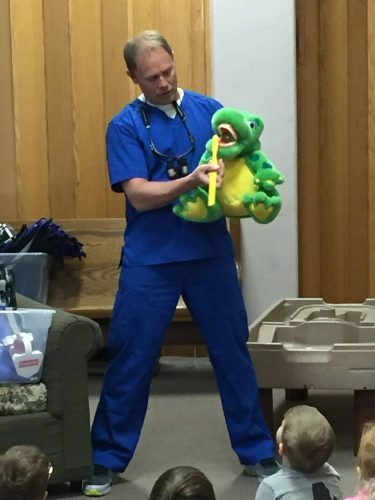 He loves participating in community education, particularly with children. 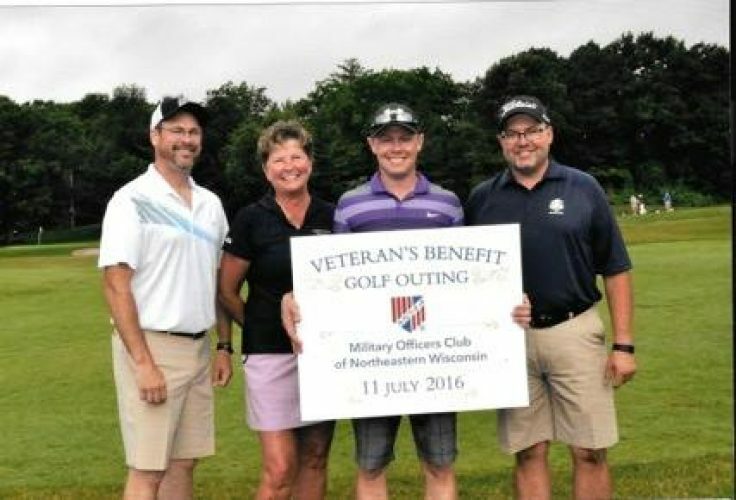 Dr. Bushong, hygientist Nancy, DHPI rep Jay Havlicek, and Dr. Bushong’s friend, Len Olbrantz, golfed in the 2016 Veterans Benefit Golf Outing. This is an annual charity event sponsored by the Military Officers Club of Northeast Wisconsin. Our entire Green Bay Smiles team is proud to support our local soldiers and the armed forces. Pictured left to right: Jay, Nancy, Dr. Bushong, and Len. 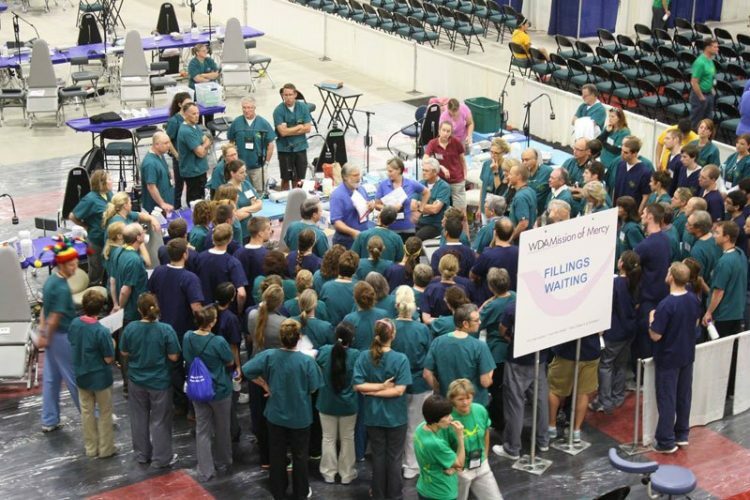 Each year, the Wisconsin Dental Association holds a Mission of Mercy event in a different Wisconsin city. 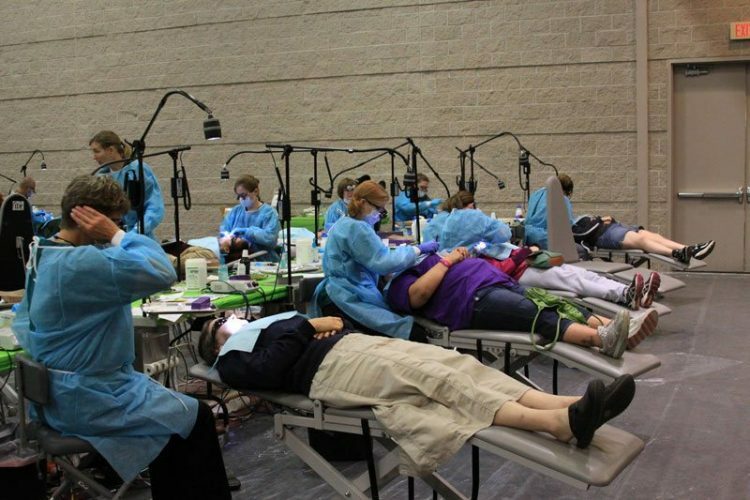 These events allow residents who can’t afford dental treatment to receive needed treatments at no cost. In 2014, our team was proud to be part of the Green Bay event. Dr. Bushong has also participated in in WDA Mission of Mercy in Wausau.